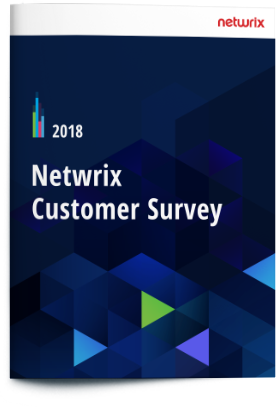 The results of the 2018 edition of the annual Netwrix customer survey are now available. You’ll learn which problems Netwrix Auditor helps customers solve and what results they have been able to achieve. You’ll also find out why they were shopping for a solution in the first place and how satisfied are they with the choice they made. of our customers say that the primary reason for choosing Netwrix Auditor was its functionality. of respondents are able to detect anomalous user activity before it leads to a security incident. 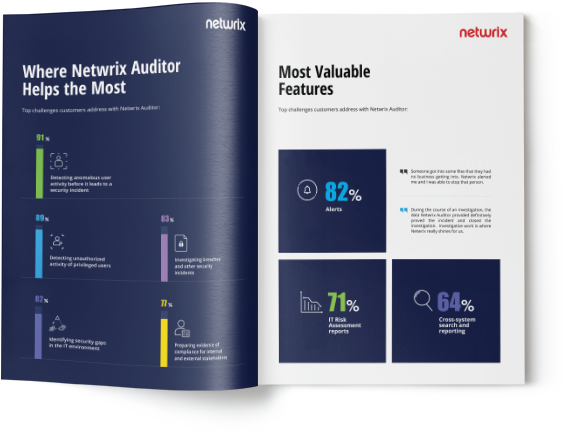 of respondents state that Netwrix Auditor is a strategic investment that helps them improve overall security.